The Bertness Lab, located in the basement of Brown University’s biology building in Providence, Rhode Island, is cool and damp, lit by tungsten lamps, and littered with rusting shovels, metal cages, and dirt. Lots of dirt. Mark Bertness, an experimental ecologist, looks decidedly out of place in the dingy confines. Bertness, at 66, has a shocking mane of curly white hair, a mischievous grin, and boundless energy. “I don’t like to be in here too much,” he says, gesturing at the office. The shovels by the wall, left over from a summer field season, are a sign of Bertness’ preferred workplace—and a source of much of the dirt. “I like to get outside where the real activity is,” he says. For the past two years, Bertness has been on a quest to understand the effect sea level rise will have on Rhode Island’s saltwater marshes. And to do that, he and his colleagues have been digging a lot of holes. Over the next 35 years, forecasts project that the sea level around Rhode Island will rise by a third of a meter above 1990 levels, climbing to a meter to a meter and a half by the end of the century. This amount of sea level rise will inundate some of the state’s saltwater marshes. But through his research, Bertness has found a complicating factor—something that could amplify the effects of sea level rise and make the situation even direr. In 2014, Bertness published two groundbreaking studies linking recreational overfishing to marsh die-offs in New England, a region of the northeast United States stretching from Maine to Connecticut. In those papers, Bertness reported that a particular nocturnal crab, the purple marsh crab, was wreaking havoc on the region’s saltwater marshes. Fishermen had killed off the crab’s natural predators, and the crustacean’s population was exploding and eating through the marshland’s cordgrass. This destabilized the soil and transformed once lush landscapes into barren moonscapes. Because of the crabs, more than 80 percent of New England’s marshland is receding. But this summer, Bertness found that things are about to get a whole lot worse. According to Bertness, sea level rise will accelerate the crabs’ marsh-destroying inland march, which could, in turn, increase the amount of land lost to the sea—a self-reinforcing cycle of marshland destruction. The rising sea, says Bertness, will seep into the drier, harder soil of the high marshland, which the crabs currently aren’t touching. The water will soften the soil, making it easier for the crabs to burrow in and access the cordgrass. This will encourage the army of crabs to advance farther and farther inland. “We hypothesized that the receding hairline of the marsh is just going to keep going and going,” Bertness says. The team is still crunching the numbers, but so far the results seem grim. “What we’ve seen is that crab herbivory increased marsh loss by a factor of two,” Bertness says. This means that the amount of marshland lost to sea level rise, when combined with the crabs, is double the rate expected from sea level rise alone. “That’s a minimal estimate,” he says. He expects this amplifying factor to climb much higher—potentially up to a 10-fold increase. If these early results are confirmed, it could be very bad news for New England’s coastal communities. Saltwater marshes are one of the best natural defenses against storms—the marsh absorbs the worst of the storm surge and prevents it from reaching further inland. But when those marshes are destroyed, they can make storms that much more disastrous. In 2013, for example, towns in the Philippines with healthy marshlands dodged most of the effects of tropical cyclone Haiyan, while communities with developed and eroded marshland suffered much greater damage. This new research reinforces how important it is to look at an entire ecosystem when trying to estimate the consequences of climate change, says Bertness. Previous research has shown that sea level rise is already destroying marshland at an unprecedented rate. But those estimates don’t take into account how rising seas could interact with organisms such as purple marsh crabs. “When you look at multiple stressors you can get a better idea of the problem—and a better idea of how to fix it,” Bertness says. 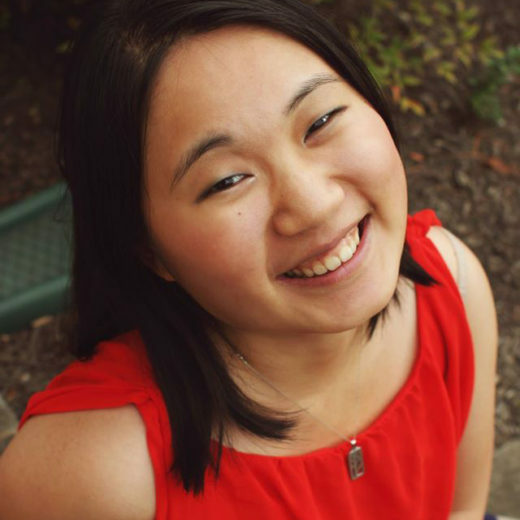 Jenny J. Chen is a science and health writer based in D.C. She’s written for The New York Times, The Atlantic, Pacific Standard,Reader’s Digest, Vice, and many more. Cite this Article: Jenny Chen “Crab Feedback,” Hakai Magazine, Oct 19, 2015, accessed April 21st, 2019, https://www.hakaimagazine.com/news/crab-feedback/.